A Virgin Wish List – Mr. Branson … Richard … we’re ready to be shaken up. Mr. Branson … Richard … we’re ready to be shaken up. It’s an amazing time for us cruise nuts! 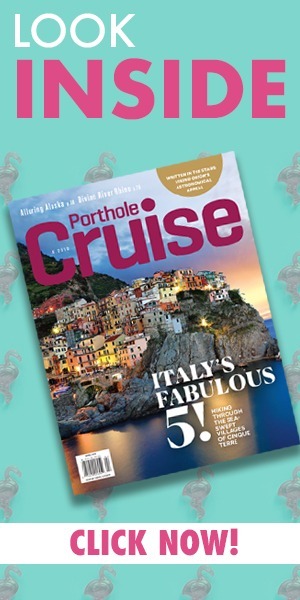 In the coming years, we’ll see exciting new ships from Holland America Line, Carnival Cruise Line, MSC Cruises, Royal Caribbean International, Norwegian Cruise Line, Regent Seven Seas Cruises, and Seabourn. And how about Crystal Cruises? They’re blowing everyone out of the water with ocean ships, yachts, riverboats, ocean-going residences, and even an airplane. Show offs. But the cruise news that most sets my heart a-flutter is Virgin Cruises. Ah … Richard Branson. He’s probably the only long-haired Englishman I ever had a crush on who never had a hit record. He’s a high-school dropout, an adventurer, and a billionaire visionary who eschews suits and ties and probably never uses any of that senseless corporate language that’s so annoying. My kind of businessman. Accommodations: Let’s go crazy! How about a luxurious sundeck suite with a magrodome roof? A “Fishbowl” category could be comprised of cabins beneath the water line, each offering an ocean view of the sea life swimming by. A budget-priced alternative might be “The Camp Grounds,” tents erected on the open decks with shared outdoor showers and port-o-sans. Music. Do not let me walk into a lounge aboard Virgin and hear “Girl from Ipanema.” Virgin must continue the industry trend of mind-blowing music theme cruises and I’m thinking bands like The Who, U2, and the Stones. Cruise Director. 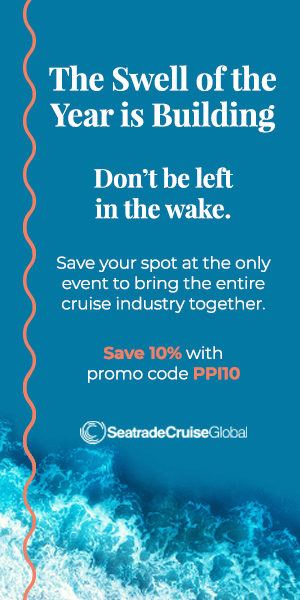 Will you continue the current trend of cruise directors with unnaturally cheerful dispositions, superhuman energy levels, game show voices, and $80,000 worth of caps on their teeth? Just curious. Dining. Please be sure to separate the Virgin Cruises dining program from that of Virgin Atlantic. We’ve all read that letter of complaint and we’re concerned. Chair Hogs. Let’s have an innovative, high-tech solution to this problem! Maybe ejector-seat deck chairs that can sense flip-flops, towels, and books and will propel them into a dumpster if the property is unattended for longer than 20 minutes. Dress code. We’ve seen your wardrobe. Will shorts and T-shirts be mandatory on formal night? Smoking. You’ve built a business empire, repeatedly cheated death, and are launching people into space, but can you find a happy resolution to this conflict? I’m thinking not. Prove me wrong. Shore Excursions. A beach party on Necker Island is a no-brainer. Better start polishing the silver. I’ve always expected magic and a little mayhem from the Virgin brand. Now that it’s stepping on my turf with Virgin Cruises I expect the same from the line’s ships. 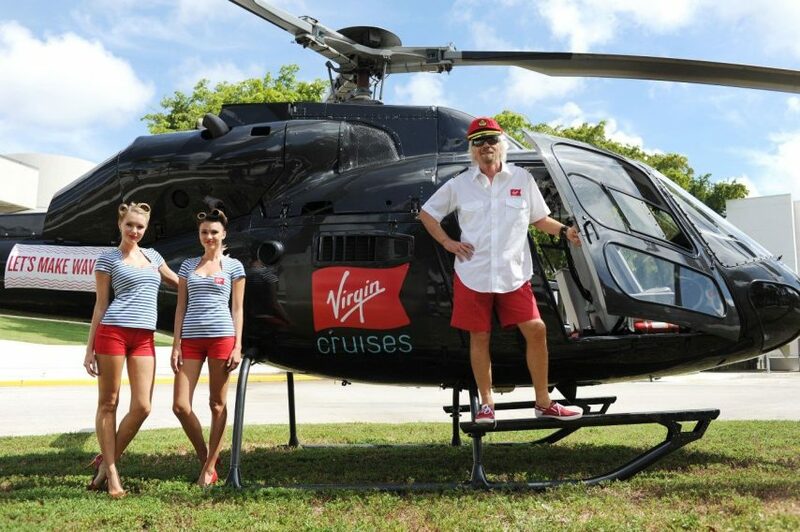 What do you want to see from Virgin Cruises? Chime in in the comments below! Well now….your ideas certainly blow the pants off my fishbowl cabin category and a beach party on Necker Island, don’t they?? I’m delighted that my topic has inspired you to conjure such a vivid fantasy of the ultimate lovers’ cruise. You lost me at the peeled grape though. I’d want a meatball parmagiana hero or something. Thanks, Rose! An amaaaazing comment!